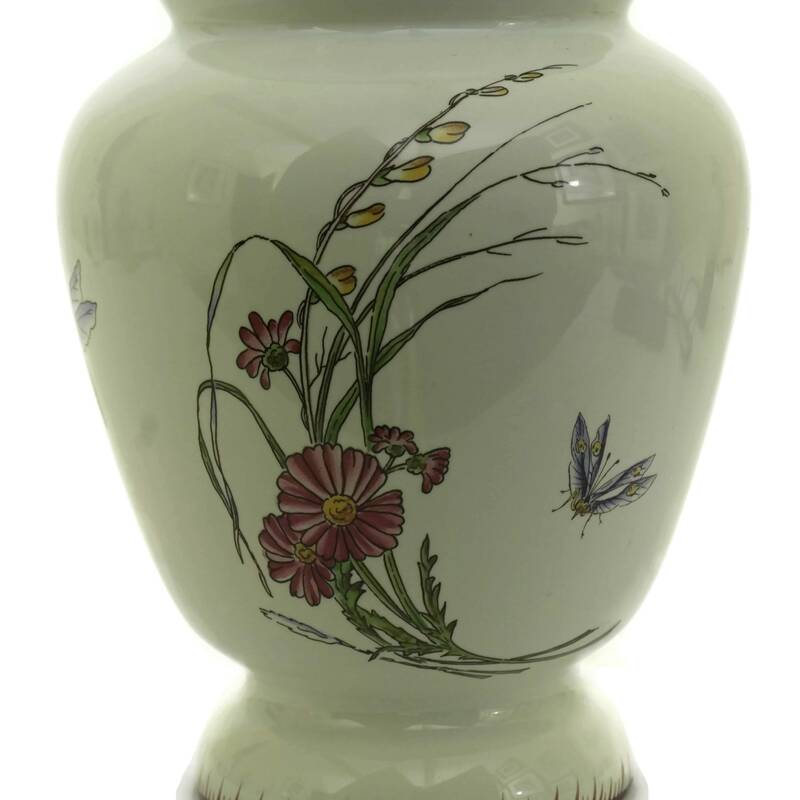 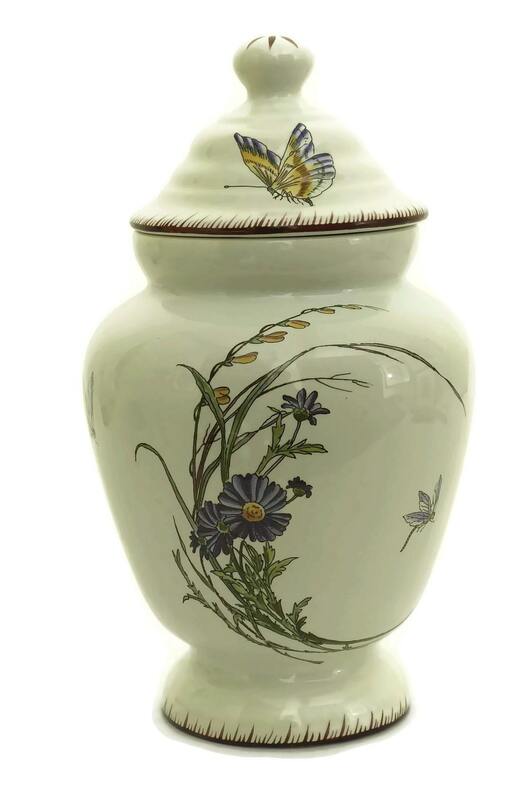 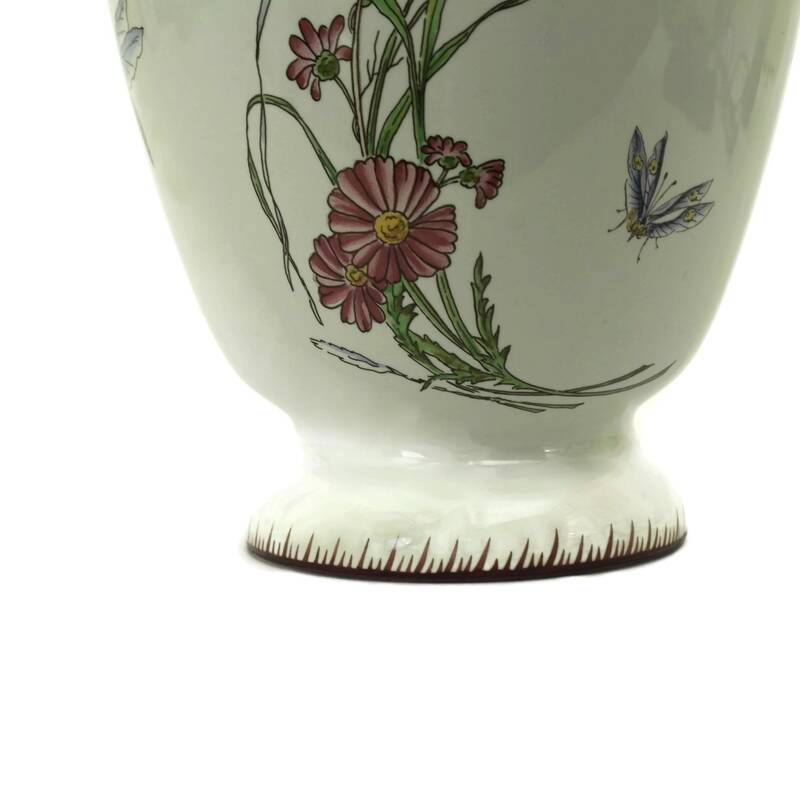 A beautiful antique ginger jar decorated with butterflies and flowers dating from the 1800s. 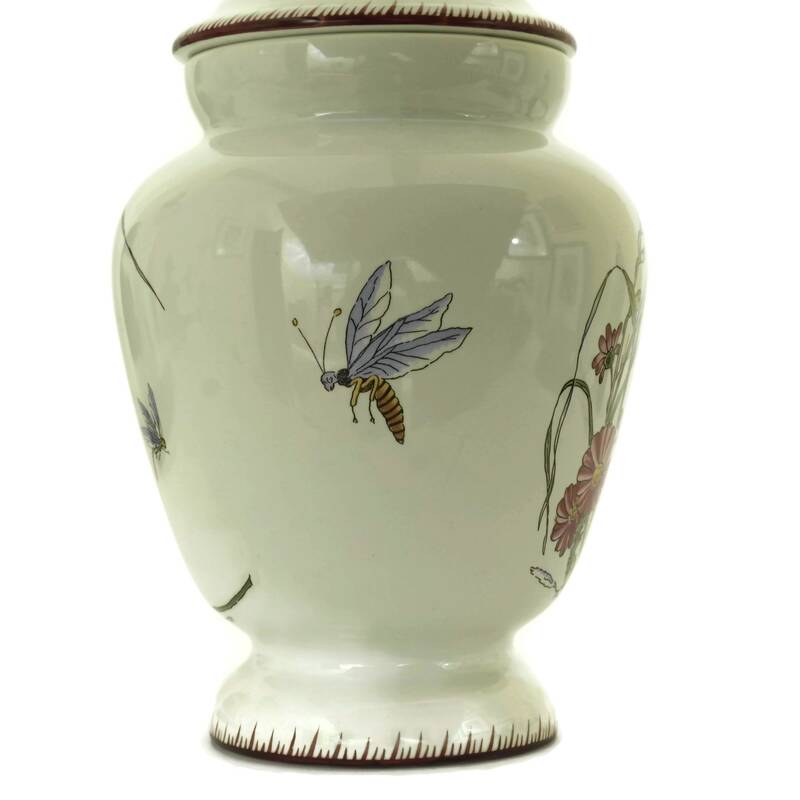 This storage canister was created by the French faience company Sarreguemines and is from their charming Papillon collection. 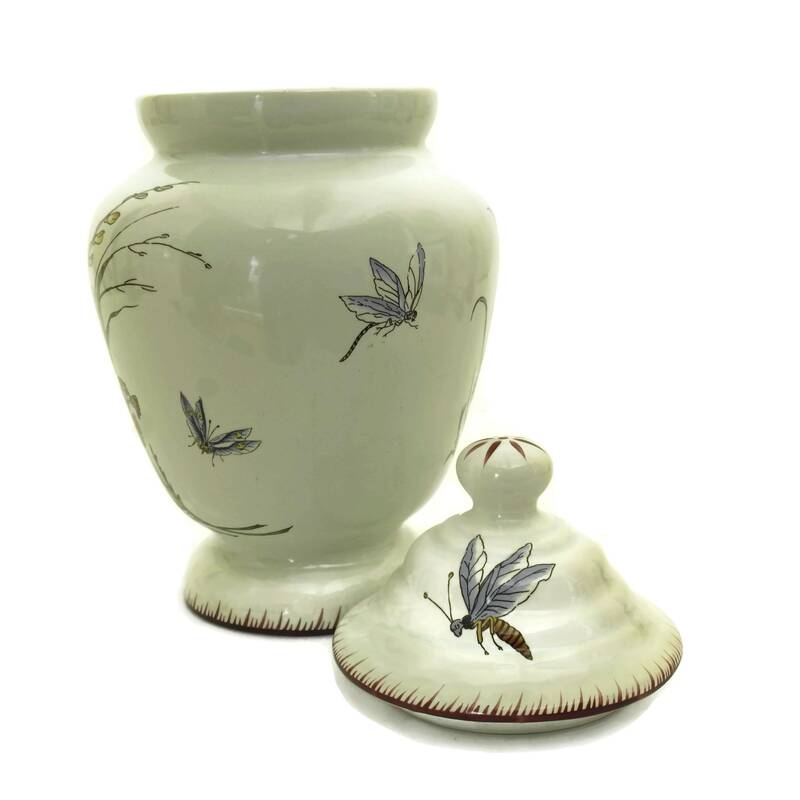 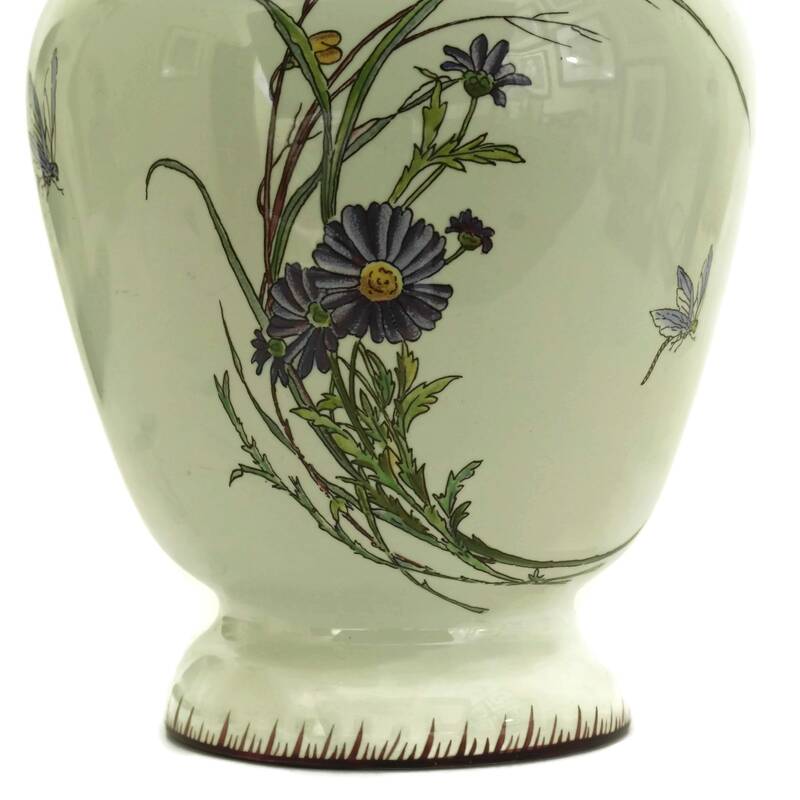 The ceramic storage jar has been glazed in white and features a delightful transfer-ware pattern with insects and spring flowers. 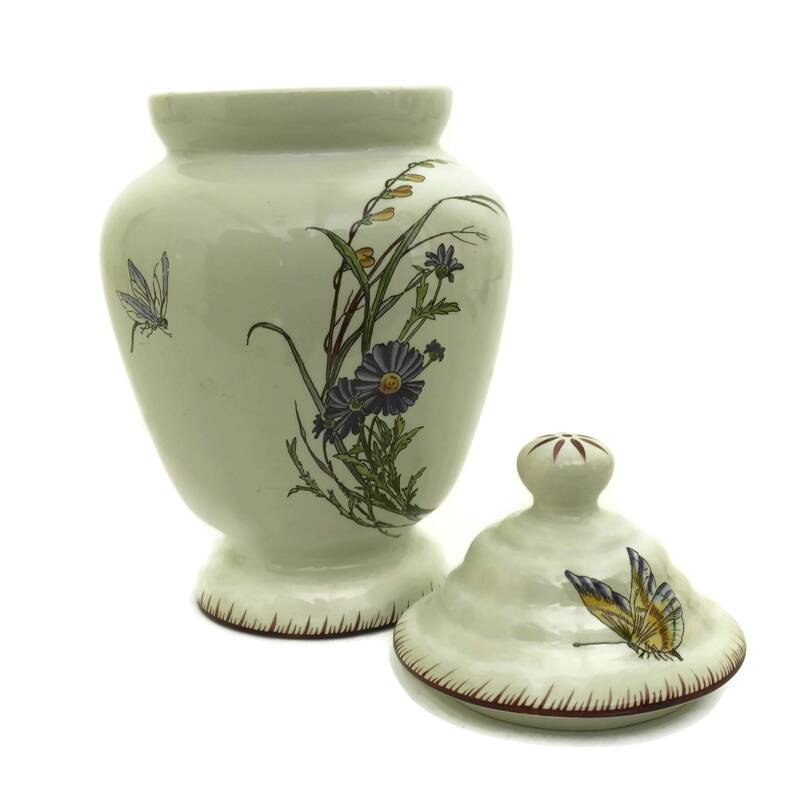 The lid and base have hand painted accents. 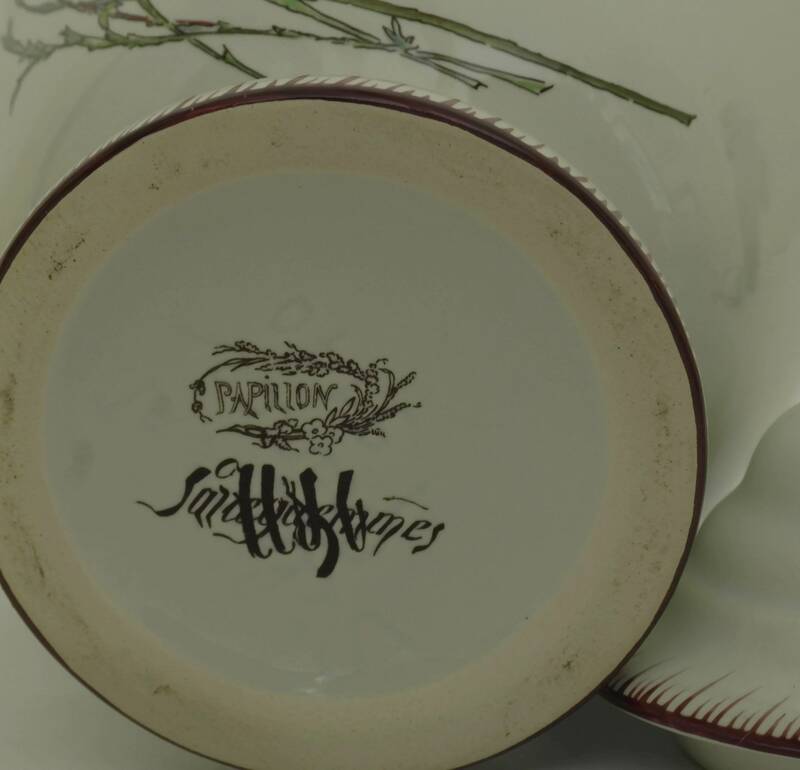 The underside features the antique Sarreguemines maker's mark. 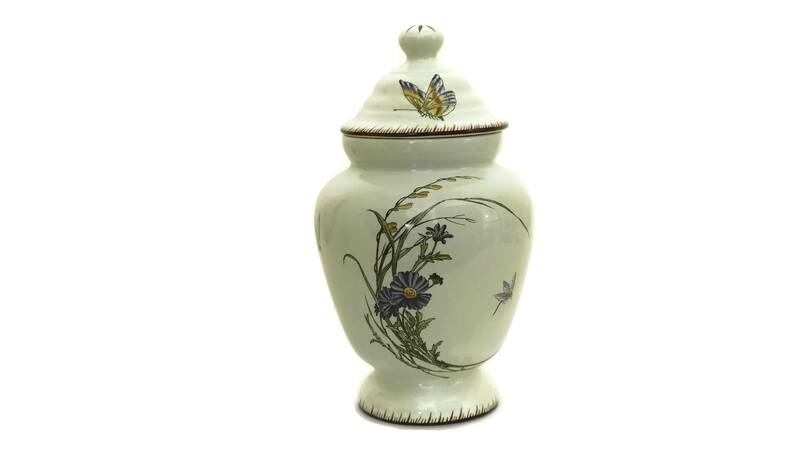 The jar will add a lovely touch to your bathroom decor. 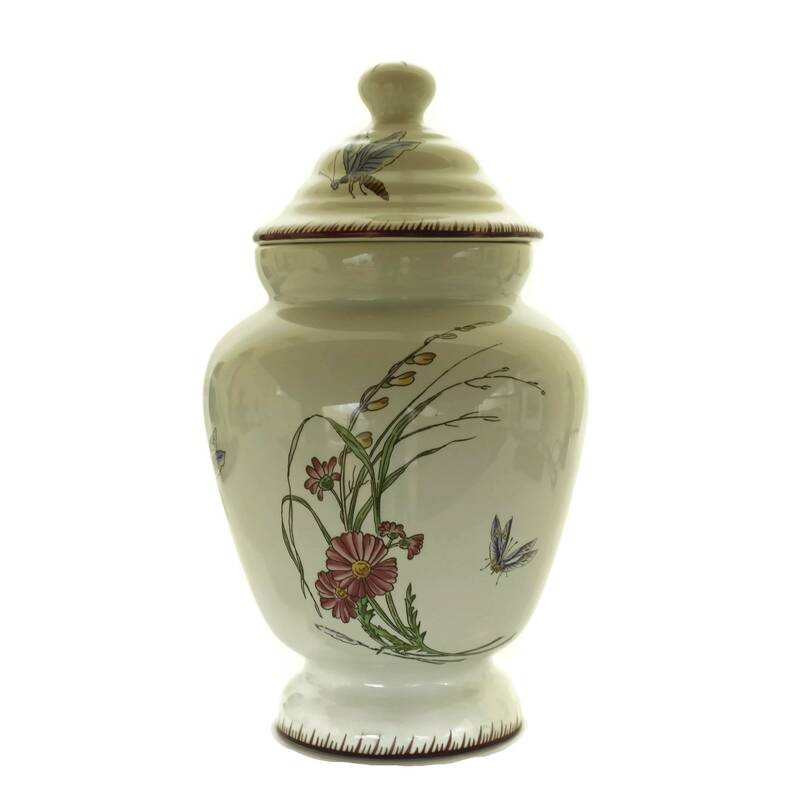 The antique French ginger jar is in excellent condition with no chips or cracks.